There are five types of goals: three for spending categories and two for your Credit Card Payment categories. Target Category Balance: Set aside money until you have a certain amount available to spend. Target Category Balance by Date: Same as 👆, but sets a target month as well. Monthly Funding Goal: Sets a target amount to budget to a category each month. Pay Off Balance by Date: Calculates a monthly amount to budget in order to pay off your credit card debt by a certain date. The amount will adjust if you are making slower or faster progress than your original plan! Pay Specific Amount Each Month: Helps you budget a certain amount toward your debt each month—without a target payoff date in mind. 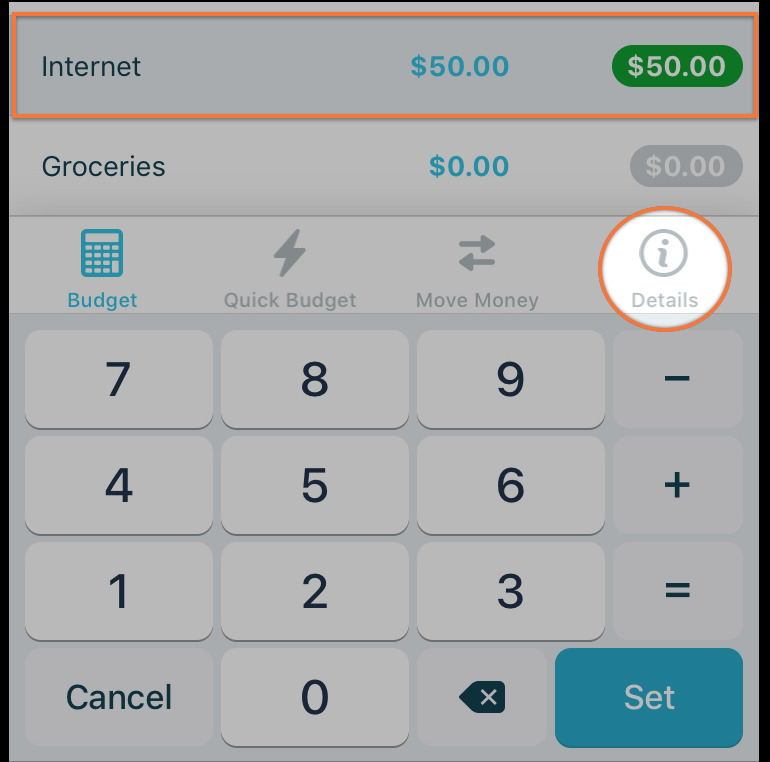 Select a category in your budget and tap the Details icon. Tap Create a goal and select the type of goal. Fill in the details and tap Save Goal! 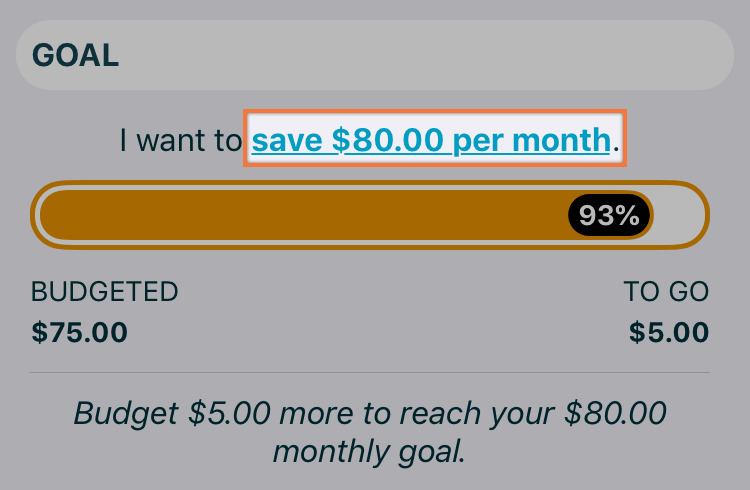 To make changes to a goal you created—or to delete it—all you need to do is tap the blue text.